Olland Bookshop in central Bungay first opened its doors to customers on Bright Saturday 23 April, 2012. It is managed by Rachel Granger on behalf of the St George Orthodox Information Service. The shop is open daily from Monday to Saturday between the hours of 10am and 3pm and stocks a wide range of second hand books at bargain prices. In addition to its extensive second hand stock, Olland Bookshop also has a large number of new books including children's and local history. And in case you can't find exactly what you are looking for on the shelves, Rachel is always willing to assist with ordering in the title you are looking for. Many of our books can be purchased through our secure online store. Profits from Olland Bookshop are donated to Mettingham Orthodox Trust, so if you are in the area do please pop in and have a browse. Should you have any books that you would be willing to donate to support the Trust then please contact us. 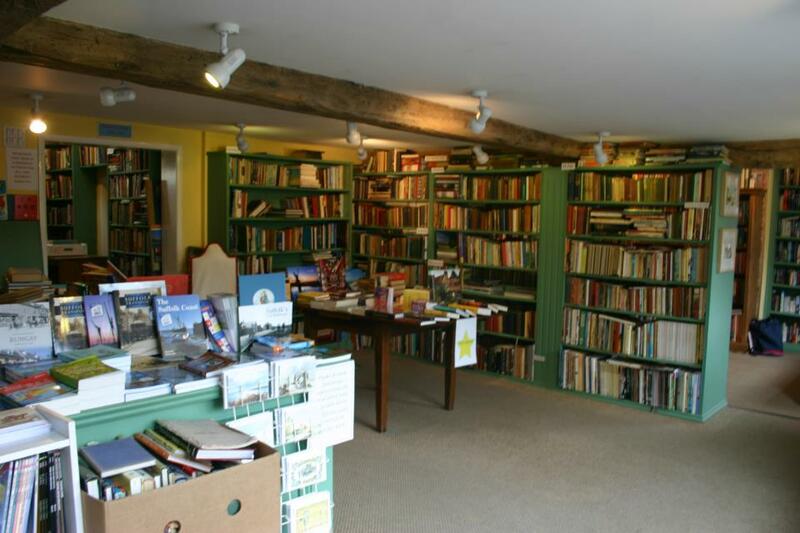 The bookshop is easy to find at 22 Upper Olland Street, just off the town centre. Parking, for 30 minutes is available directly outside the shop, but if you fancy a longer browse then free parking can be found at Boyscott Lane car park only 100 meters or so from the shop.